Nominations must be Submitted Online by March 15, 2015. 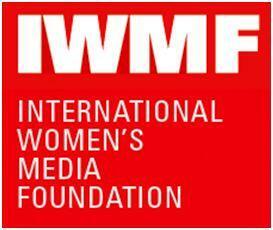 Washington DC – The International Women’s Media Foundation (IWMF) is seeking nominations for the 2015 Courage in Journalism and Lifetime Achievement Awards. The Courage in Journalism Award honors women journalists who set themselves apart by their extraordinary bravery. Facing and surviving danger to uncover the truth, they embody a commitment to their societies and to press freedom. Through its Lifetime Achievement Awards, the IWMF recognizes the audacity of media industry pioneers who kick down barriers to equality and justice. Nominations for the 2015 Awards must be submitted online by March 15, 2015. Nominees must be full-time women journalists working in print, broadcast or online media in any country. To review nomination requirements and criteria, and to submit a nomination, go to iwmf.org/nomination. Since its inception in 1990, the Courage in Journalism and Lifetime Achievement Awards have honored 103 women journalists from 53 countries who have demonstrated extraordinary strength of character in reporting under difficult or dangerous circumstances such as government oppression, threats to personal safety, and other obstacles. They are representative of the many more women who pursue the truth everyday in remote villages, halls of leadership, or front lines of conflict. Past Courage Award winners include Solange Lusiku Nsimire (DR Congo), Reeyot Alemu (Ethiopia), Agnes Taile (Cameroon), Lucy Sichone (Zambia), and Amal Abbas (Sudan). Lifetime Achievement Award winners include Kate Adie (UK), Edna Machirori (Zimbabwe), and Barbara Walters (USA). For a full history of the IWMF Courage in Journalism Awards and a complete list of past winners, visit iwmf.org/courage. Award winners from 2015 will be honored at ceremonies in New York and Los Angeles in late October of this year. Please direct all media inquiries to: Anna Schiller, IWMF Communications Strategist, (+1) 202 567 2613. 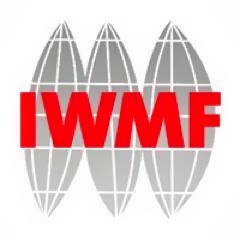 For 25 years, the International Women’s Media Foundation (IWMF) has been dedicated to strengthening the role of women journalists worldwide. The media is not truly free and representative without the equal voice of women. Our work celebrates the courage of women journalists who overcome threats and oppression to report and bear witness to global issues. Through our programs and grants we empower women journalists with the training, support, and network to become leaders in the news industry.